​​​We offer beginning square dance lessons at various times of the year to all single and married adults in addition to children under 18 accompanied by an adult. 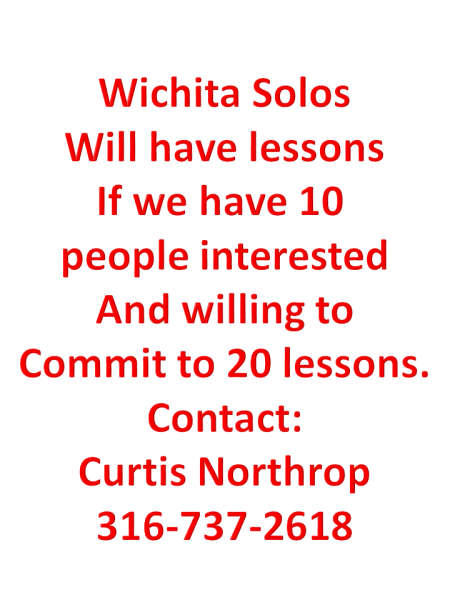 Wichita Solos accomadates many levels of square dance in addition to round dancing. This includes mainstream, plus and advance (when the caller has the ability to call this level). We Dance at 7:30 on the 1st, 3rd and 5th Fridays.